You 🍳 can 🍚 do 👩🏾‍🍳 this 🥘. 1. Slip on these cut-resistant gloves made with the same material Superman uses for his suit (probably), so you won't lop your fingers off when you're slicing and dicing in the kitchen! Get them from Walmart for $8.64. 2. And brush up on some basic knife skills because the ability to properly wield a knife into some vegetables is like cooking 101. Check out the full video from Tasty. 3. Try out a cookbook that shall scientifically guide you to becoming a better chef in no time. The power of science helps those of us who need a deeper understand of why not to put a dab of butter in a pan on stovetop level 10, so the fire alarm doesn't wake up the whole house again at three in the morning. 3 a.m. is I'm impatient and want French toast right now time, FYI. Get it from Walmart for $33.94. 4. Make sure you have a trusty slow cooker on hand for easy dump dinners on busy weeknights, but also don't be afraid to experiment! You can use that slow cooker to bake bread, bake potatoes, and even cook a whole ham 👀. Check out 30 Delicious Things You Never Knew You Could Make With A Crock-Pot for unique recipe ideas. Get a six-quart slow cooker with a locking lid from Walmart for $24.96 (available in five colors). 5. Put a spin on classic recipes by switching up ingredients. For example, pouring soda in with the chicken wings isn't ~fowl play~ when you're whipping up slow-cooker root beer chicken wings 🤤. Get the full recipe from Tasty. 6. 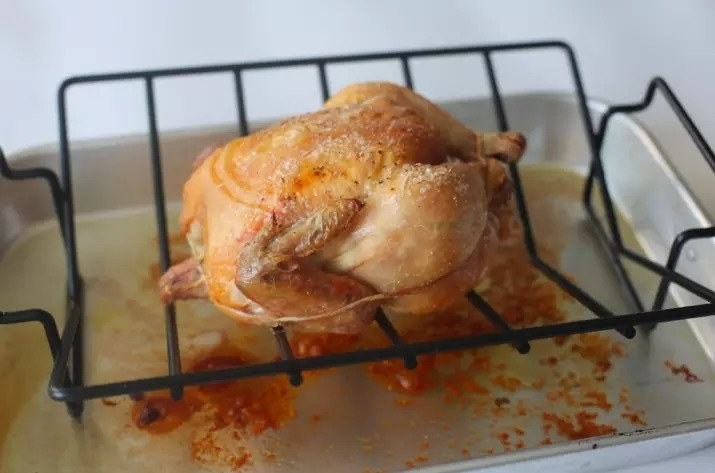 Or keep things simple yet delish via a roasting rack and an *uncluckable* (sorry) three-ingredient roasted chicken recipe. Idk about you but I just saw a vision of myself pulling a perfectly-roasted chicken out of the oven in the dead of winter at my annual ~frostbite~ winter dinner party while my guests pop their heads out of their cozy sweaters to compliment my cooking. Okay so TBH I don't have an annual dinner party at all, but the time is now and the recipe I'll use is this one! Get a step-by-step guide to making the best three-ingredient roasted chicken of all time from BuzzFeed. Get a similar rack to the one pictured above from Walmart for $13.19. 7. Check the temp of that chicken and all other food in your future with a food thermometer, because if there is one thing you should be confident about it should be that your food is cooked to the correct temperature! Don't give your dinner guests food poisoning, pls. Get it from Walmart for $11.29. 8. Break out a can of tuna, listen to the kids groan about eating tuna salad again, and surprise those young dweebs with a tasty tuna sesame Onigiri. Get the full recipe from pickled plum and check out 15 Delicious Dishes Anyone Can Whip Up With A Can Of Tuna. 9. 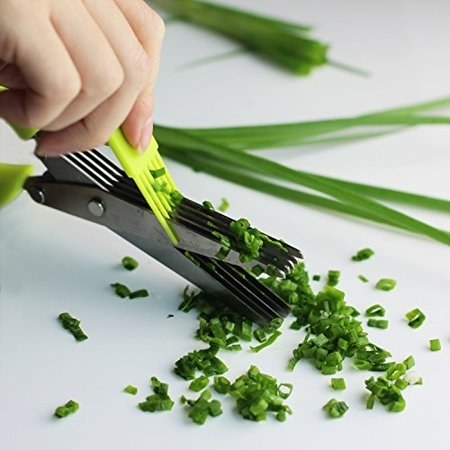 Use these herb shears to chop up herbs like a professional chef for an easy addition to recipes, or to garnish it up. 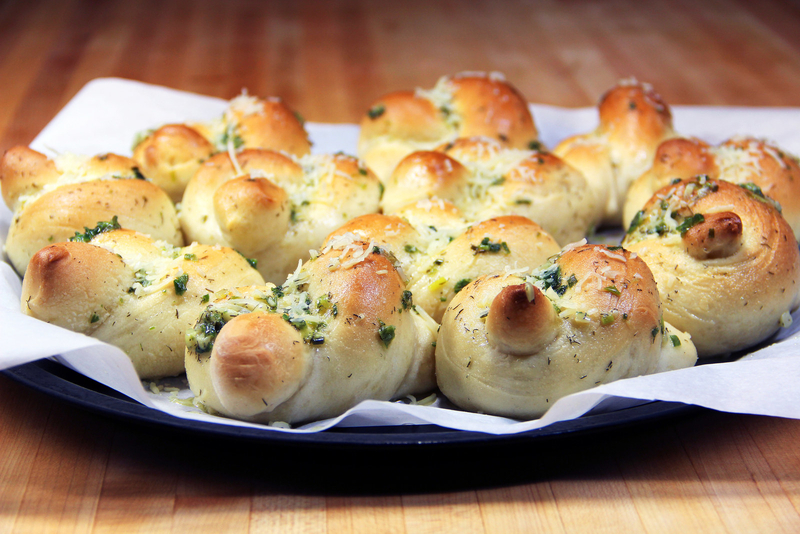 Alright I need those garlic knots with extra gaaaarnish in my belly right now! Get them from Walmart for $7.49. 10. Know that non-slip mixing bowls exist, and get a six-piece set of them so you can whisk that custard into shape without fear of it getting all over your counter. Get it from Walmart for $29.97. 11. Learn this impressive egg hack so you can fry perfect eggs every time with the help of a stainless-steel strainer. Get a large stainless steel strainer from Walmart for $15.96. Get step-by-step instructions for perfect fried eggs from BuzzFeed. 12. Watch this video of healthy breakfasts you can make in a muffin tin, and voila — now you have three fool-proof meals to bake in one of the most basic items in your kitchen. If you don't have one already, get a two-pack of non-stick muffin tins from BuzzFeed's Tasty collection at Walmart for $8.09. 13. Research the world of no-bake dinners and desserts, and you just may become a cooking champion without turning on the oven! These no-bake vegan donut holes are just begging for a brunch appearance. I would break up with my oven to sit outside with these babes and eat them all on a breezy day while reading a good book. Get the full recipe from The Minimalist Baker. 14. ~Roll~ out of your comfort zone and into delish sushi time. I want you to think of that $13 life-changing sushi roll you ate when you took your partner out to their birthday dinner, and believe deep in your heart that there is an even better way to spend $13 dollars on sushi: this sushi-maker will have you hosting sushi parties for life. Get it from Walmart for $13.45. 15. Elevate the basics and learn how to cook perfect rice every time, because better rice = better sushi, better burritos, better risotto, better fried rice — you get the point. Learn how from this Tasty video. 16. Save the bread you put in the oven on broil from sudden death when you forgot about it for a littttttle too long with an oven rack push/pull gadget. Confidence that you are not gonna burn yourself is key! Get it from Walmart for $9.99 or from Jet for $6.29. 17. Ditch the oven altogether and become the air-frying wizard I know you can be. This handy device circulates hot air all around your food, so it cooks faster, gets crisper, and fries everything up with little to no oil 🍟. When I first got my air fryer, I ate French fries every day for a whole week 🙃 don't say I didn't warn you! Get it from Walmart for $69.88. 18. Prevent pesky boil-overs via a boil-over safe guard I wish I had when I was first learning how to cook fresh pasta and most of it ended up on the stovetop 🍝. Get it from Walmart for $9.83. 19. Meal prep your way to confidence, because sometimes the only thing standing in your way in the kitchen is not knowing what to cook! This guide shall help. Get the step-by-step instructions for a weekly meal prep plan from Tasty. 20. 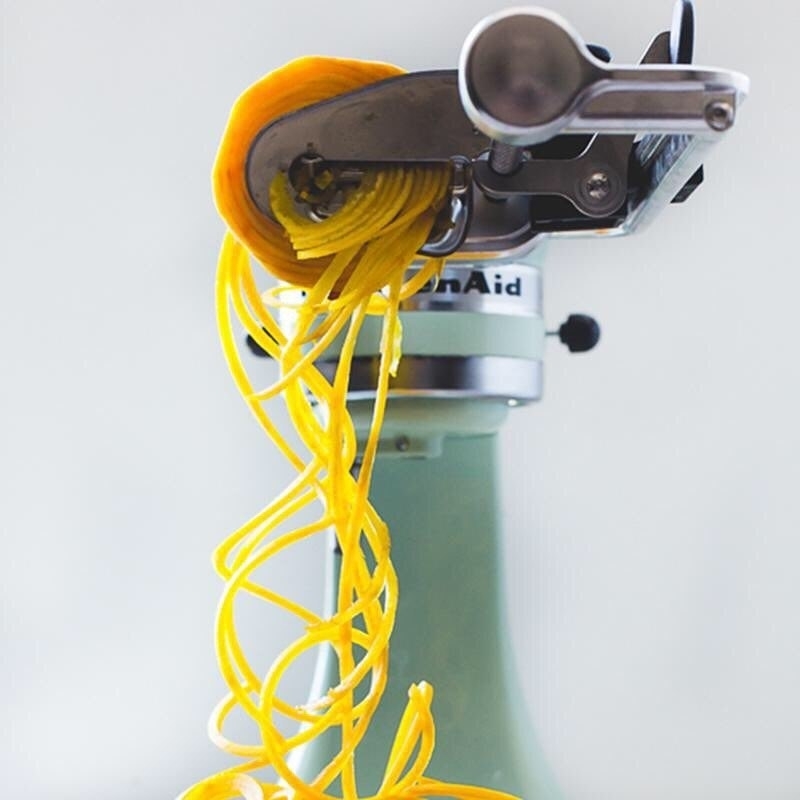 And last but not least, invest in a KitchenAid stand mixer that'll have you whipping, beating, spiralizing, experimenting, and cooking up huge meals for the whole family in no time. This babe will take even a next-level chef to the next next level with its power (plus it is down $100 right now!!). Features: Tilt-Head Design allows clear access to the bowl to easily add ingredients for a recipe. 10 optimized speeds, 59-point planetary mixing action. Five-quart stainless steel bowl with comfortable handle. Offers enough capacity to mix dough for six dozen cookies or six pounds of mashed potatoes in a single batch. Dishwasher-safe bowl. Promising review: "I bought this as a birthday day gift for my sister who loves cooking. Traditionally we knead dough every day to make Indian breads, and lately she would complain that her wrist is hurting from kneading and beating everything by hand. Since she started using the KitchenAid mixer, her wrist doesn't hurt, she experiments more with different kind of breads, cakes and cookies, and she can multitask. 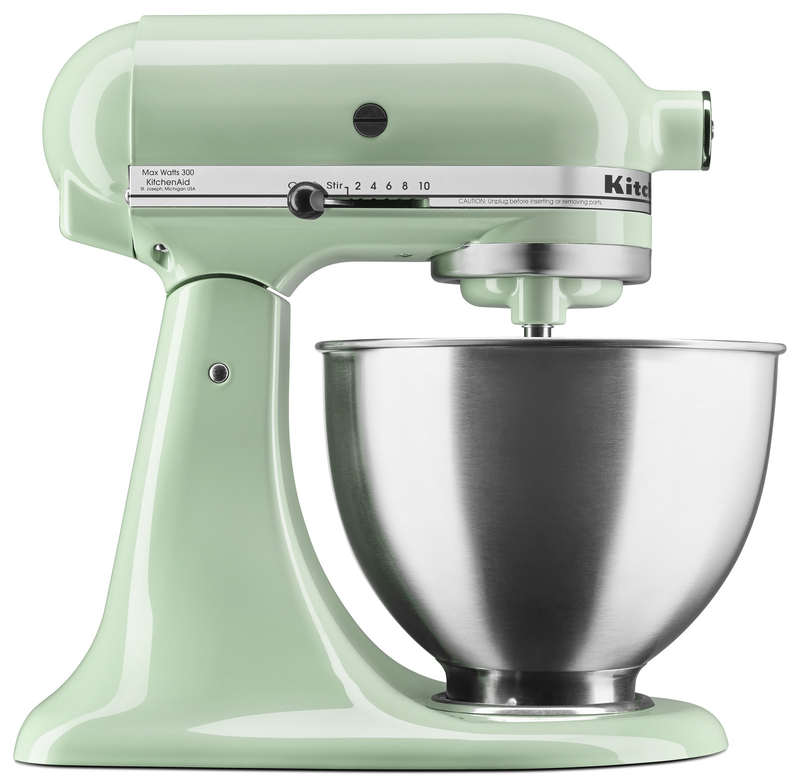 For example, while baking layered cakes — when the mixer is working, at the same time, she can prep other ingredients or just simply leave the kitchen, relax, and let the KitchenAid stand mixer do the job. Get it from Walmart for $229.99 (originally priced at $329.99). Stitch is my fearless chef inspiration.